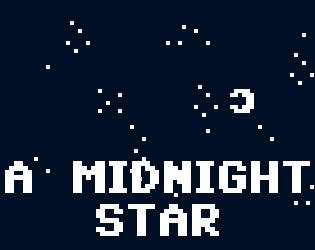 This game was made for the January 2018 Bitsy Jam: Midnight. The game was made at the very last minute due to hectic work and school schedules. love this! i like how you gotta take a bus at the end- i was so afraid the star missed it for good.. also man the visuals! really love the aesthetics of this one. some of the visuals were really striking for such a limited game engine!